Congressional Republicans are attempting to guarantee workers the right to a secret ballot in union elections and allow members to more easily opt out of paying for union political activity after seeing the Obama administration and Democrats block previous efforts. 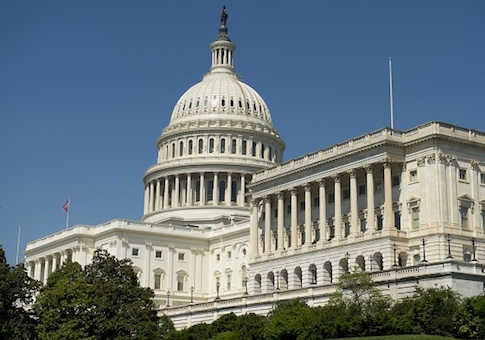 Rep. Phil Roe (R., Tenn.), a member of the House Education and Workforce Committee introduced the Employee Rights Act, a bill that has previously failed to advance out of the House, on Thursday. Roe said that the it would serve to counteract many of the handouts given to organized labor by the Obama administration, including its revision of union election rules that sped up the timeline of union certification votes, while preserving the lengthy process for decertifying a union. The ERA would force unions to hold re-certification votes on a regular basis to ensure that they still had the support of current, rather than past, members. "The rights of American workers were under attack during the Obama presidency, and it is time to restore those rights and work to foster a pro-growth, pro-employee environment," Roe said in a statement. "This legislation will ensure individuals’ rights are upheld when considering whether or not they wish to join a union." The bill would guarantee a secret ballot election and broaden participation requirements to increase turnout in union votes before the National Labor Relations Board, the top federal labor arbiter that oversees union organizing campaigns. It would also reverse the current practice in which workers are forced to opt into agency fees, dues payments that cover only union representational activities and exclude political and lobbying expenses. Under the bill, workers would by default only pay for representation and would have to opt into participating in the union's political work. Rep. Joe Wilson (R., S.C.) said that such a measure would increase transparency about how dues money is spent and allow workers to hold union officials accountable for their budgetary decisions. "The Employee Rights Act is critical legislation that establishes clear protections for America’s workers—to protect employees from union coercion, to have a secret ballot, and, if they choose to join a union, to know how their dues are spent," Wilson said in a statement. Organized labor has opposed past iterations of the bill. The AFL-CIO called such legislation "a proposal that would subvert democracy and stifle working people’s voices." The bill earned the praise of union watchdogs who have long advocated for reforms to the process of union organizing in the United States. Richard Berman, executive director of the Center for Union Facts, said that the legislation represented the most comprehensive labor reforms in 70 years and would rebalance the scales of labor policy in favor of workers. "Labor law is rigged in favor of union leadership against the interest of its own members. Union elites have grown unresponsive to their members, trampling their workplace rights to maintain power," he said in a statement. "The complicity and silence of Democrats in denying employee rights is embarrassing." Heather Greenaway, spokesman for the Workforce Fairness Institute, said that the legislation fell in line with President Trump's message of prioritizing workers over the interests of employers and union officials. The move toward a secret ballot election would prevent businesses from agreeing to card check organizing, in which labor petitions replace an actual vote on joining the union. "This legislation represents the interests of workers and protects them in workplaces across America by respecting their right to choose or reject labor representation," she said in a release. "We strongly encourage members of the U.S. House to seriously consider supporting the Employee Rights Act and working to expeditiously advance the legislation." This entry was posted in Issues and tagged Big Labor, Congress. Bookmark the permalink.